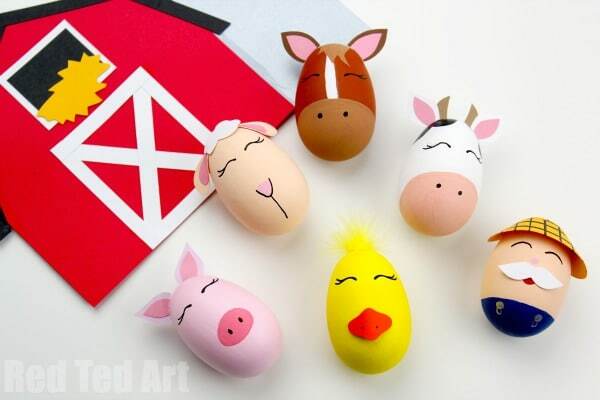 Old MacDonald Had a Farm Egg decorating idea! 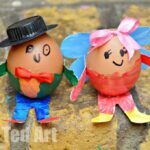 Yes the School Egg Decorating competitions are not quite over.. and if you are looking for some super cute last minute Egg Decorating ideas.. how about these cutes of cute DIY Old MacDonald Had a Farm Egg Decorating Craft!!! 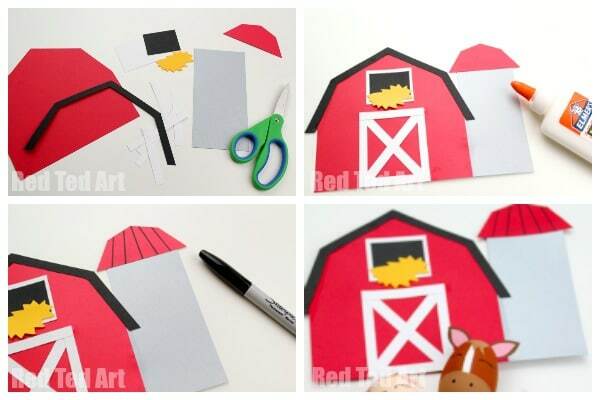 Not only would this be a super fun Old MacDonald Had a Farm Craft, but you could also have a fabulous little sing song with your little ones whilst making them. 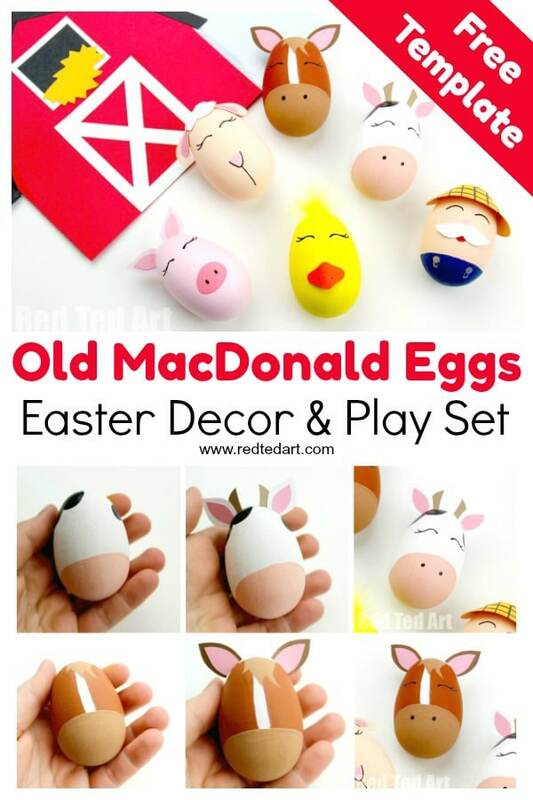 This fanatsic Old MacDonald, comes complete with Egg Cow, Egg Horse, Egg Sheep, Egg Pig and Egg Chick as well of course an Egg Old MacDonald himself. 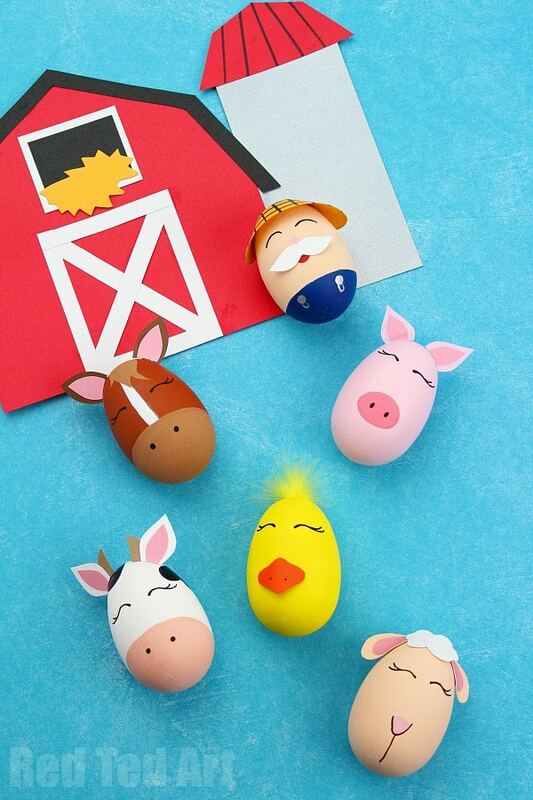 The set of Farm Easter Eggs, come with instructions for how to make the red barn too! LOVE. If you are not at school yet.. 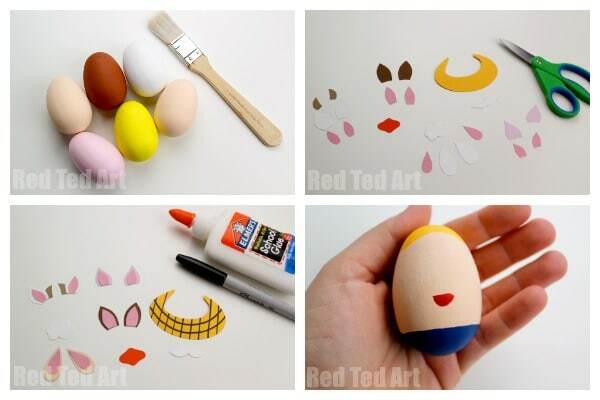 I do think these also make a great Egg Decorating Idea for Preschool. 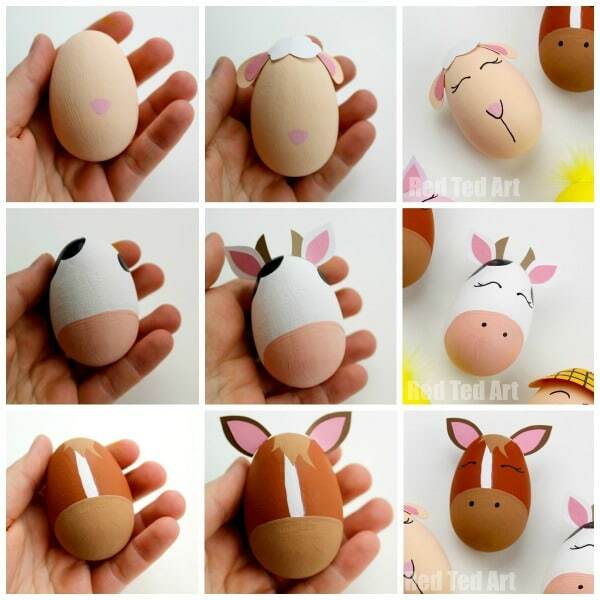 What is not to love about a good old Old MacDonald Had a Farm Craft?! 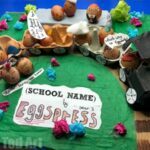 First shared in March 2018 and republished for your convenience! 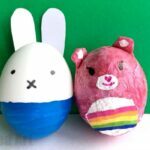 Today’s tutorial uses wooden eggs – wooden eggs are great for “longevity” of these type of Easter Decorations… however, we ADORE crafting with REAL Egg Shells.. and you will be surprised by how well kids are able to handle precious egg shells! 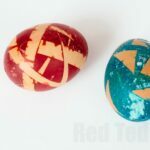 Really, they can do it. 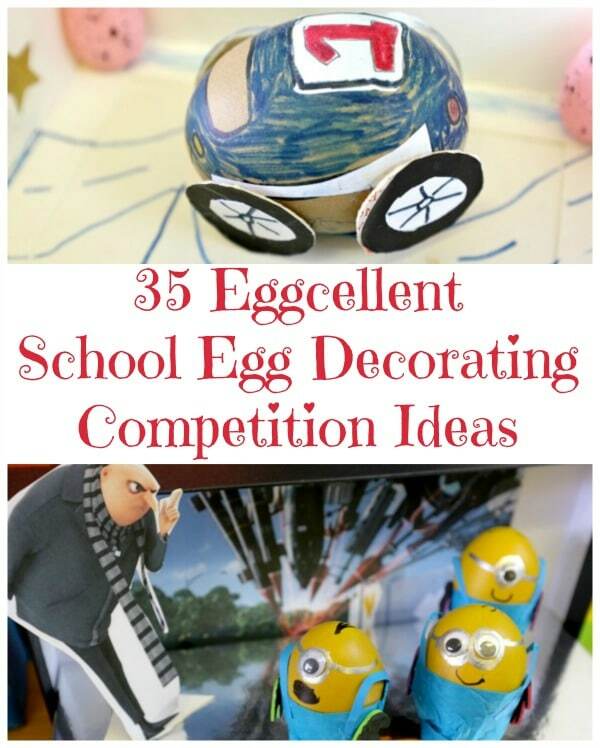 It is great for fine motor skills too… and if an egg shell breaks whilst crafting? 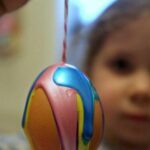 Well it doesn’t matter…. they were “free” after all.. right? All part of the process. 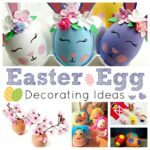 Learn how to Blow Eggs for Decorating here. Having said that.. 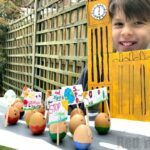 I do love the wooden eggs for THIS particular Egg Decorating idea, as it lends itself for more “Play time”. 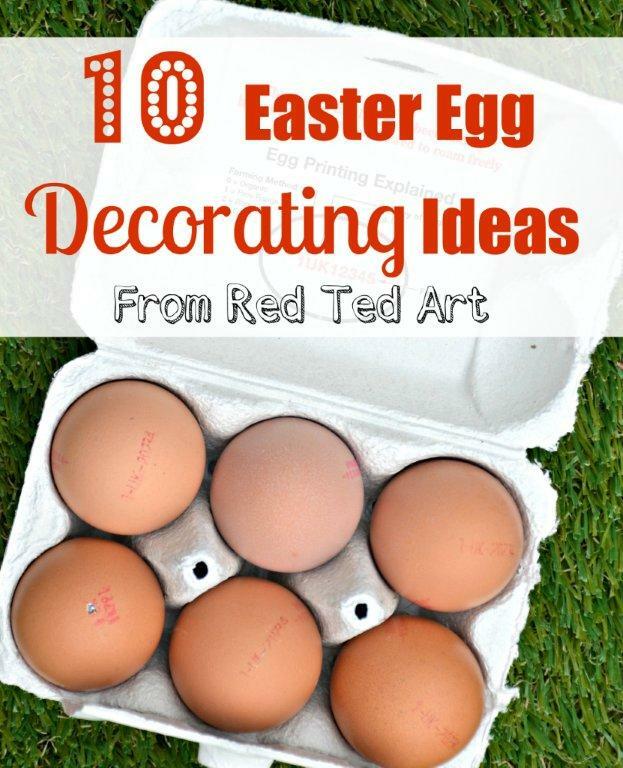 Some of our Egg Decorating Ideas really are perfect as DECORATIONS!!! 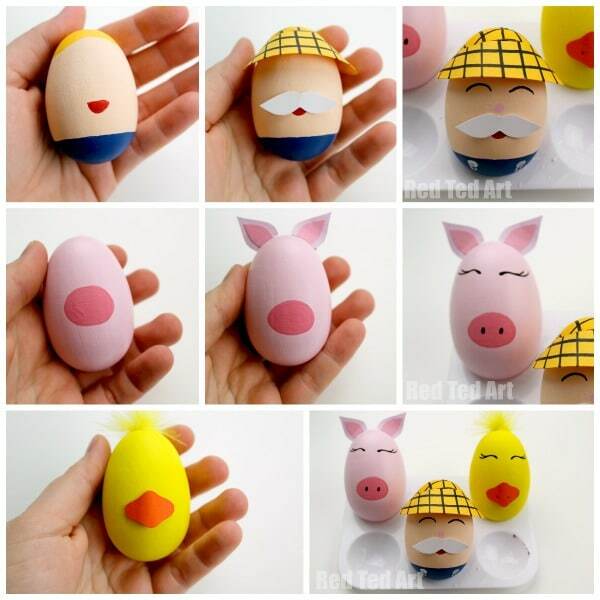 But today’s DIY Egg Design, is fun as a decoration AND for play time. 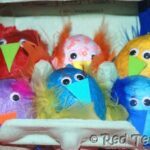 So your call really!